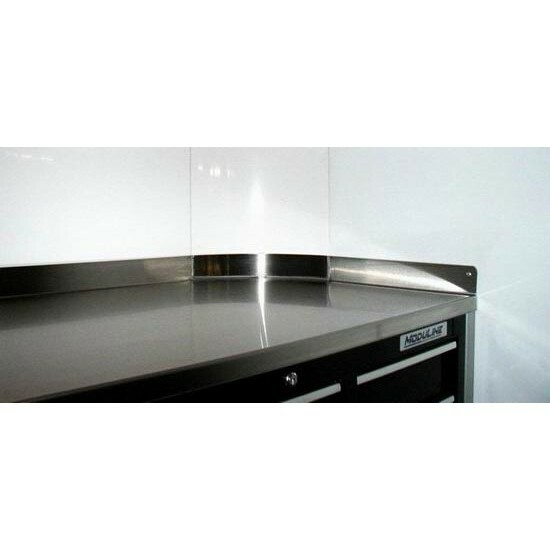 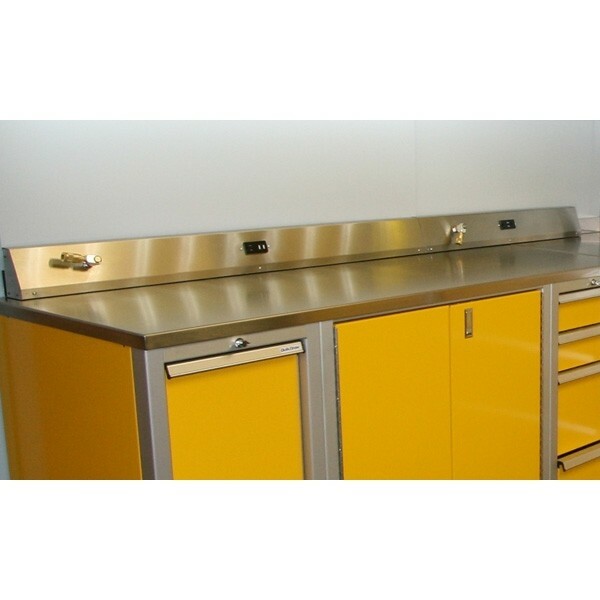 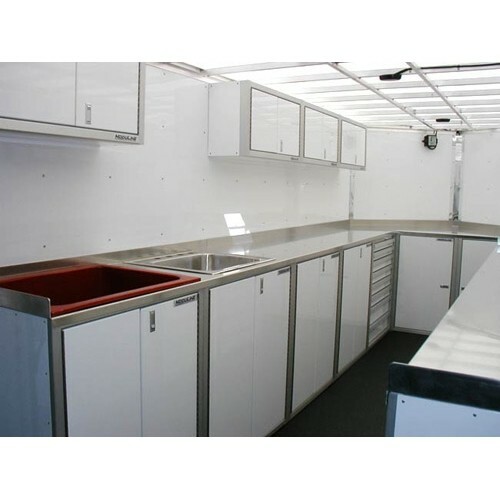 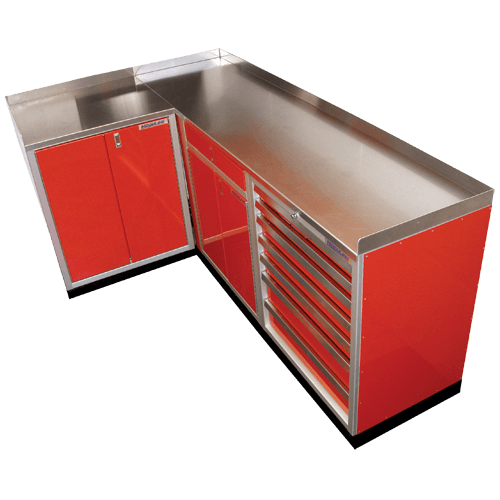 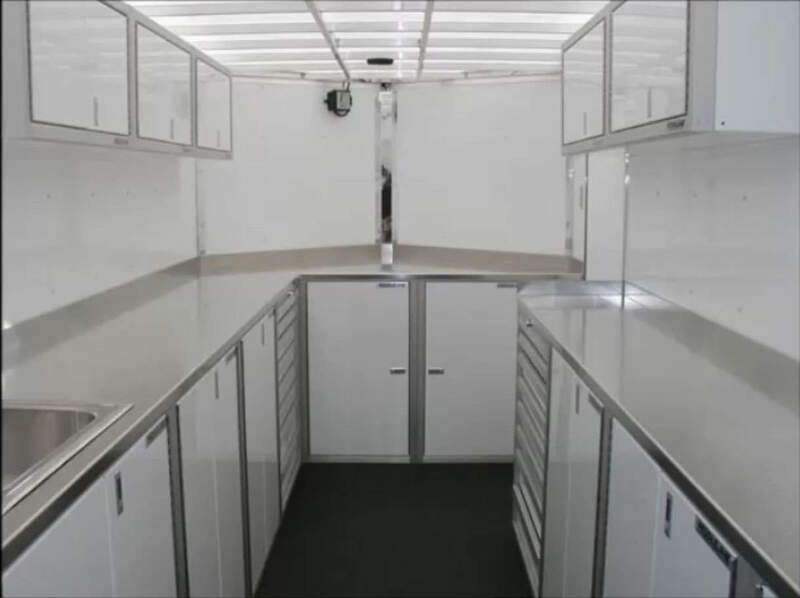 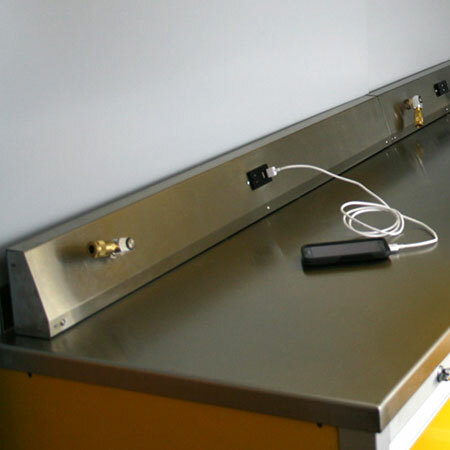 Trailer countertops available in stainless steel, Butcher Block or aluminum. 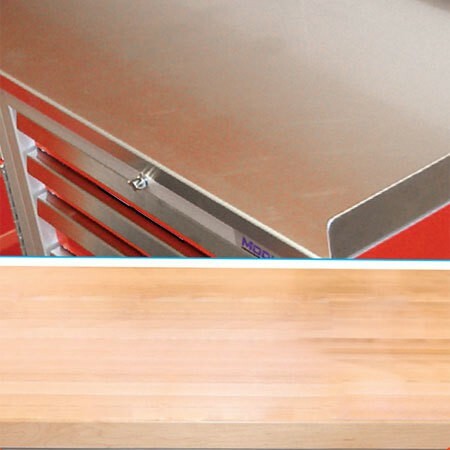 Moduline’s Countertops are solid aluminum countertop or stainless steel, not laminated to particle board. 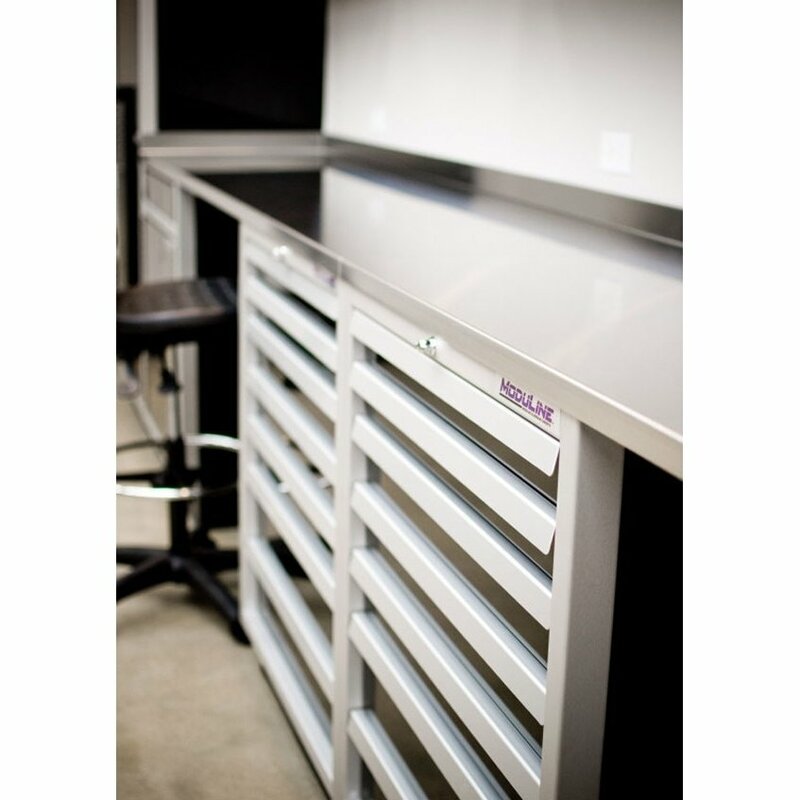 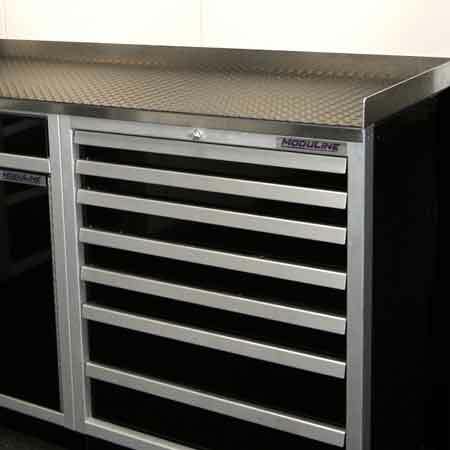 Creates a sleek, contemporary style workbench.